THIS VEHICLE IS LOCATED IN OUR FLORIDA SHOWROOM, FREE SHIPPING AND 1 YEAR WARRANTY !! 10-Bolt Rear. 18'' Wheels. 350 V8 Engine. 4-Speed Automatic. 8 1/2" Ring Gear. Black Carpeting. Black Dash. Black Door Panels. Black Headliner. Black Vinyl Bucket Seat Interior. Butternut Yellow Paint. Chrome Flywheel Cover. Chrome Pulleys. Chrome Timing Cover. Coys 5-Spoke Rims. Edelbrock Chrome Air Cleaner. Edelbrock Chrome Valve Covers. Flowmaster Mufflers. Front & Rear Bumpers Chrome. Front Brakes Disc & Rear Brakes Drum. Front Tire Size 225-40ZR-18. Hedman Headers w/ Dual Exhaust. Power Brakes. Power Steering. Rally Sport Emblems. Rear Spoiler. Rear Tire Size 255-45ZR-18. Riken Raptor Radial Tires. Seatbelts. Wood Steering Wheel. 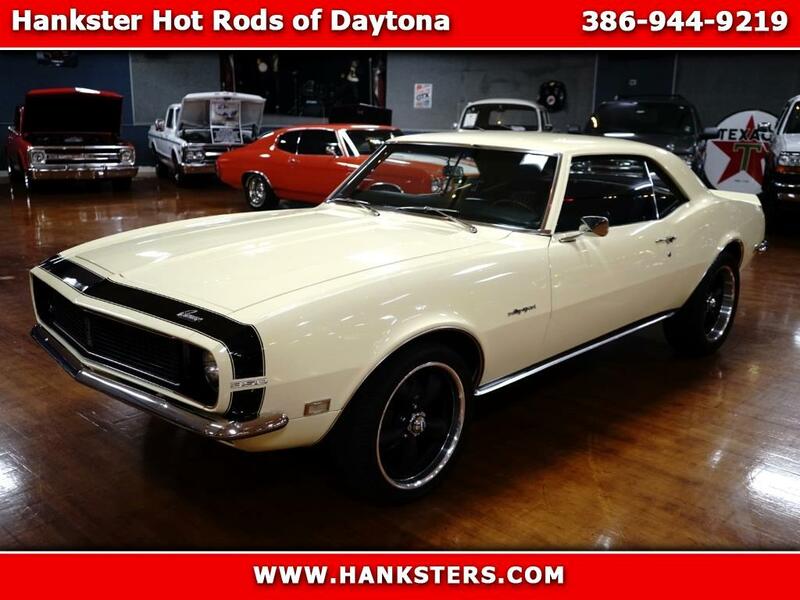 Message: Thought you might be interested in this 1968 Chevrolet Camaro RS.